How does your attic measure up – Do you need more insulation? For most of us the attic is a forgotten place. Its hot, dark, and there are things living up there that we probably don’t even want to know about. What most of us neglect is the importance insulation can make to the comfort of our home. Not having enough insulation can allow the cold winter air to penetrate into the warm air of the home causing cold areas or drafts. 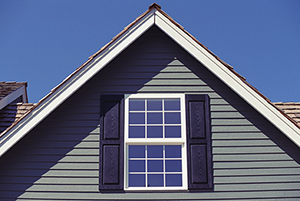 This can be especially noticeable on the top floors of multiple story homes. The same holds true in the summer as the hot air penetrates into the living space we are trying to cool, making the HVAC system run longer. Homeowners of mulitple story houses notice this by the temperature in the upper levels being considerably higher than the temperature downstairs. These could all be signs that you need more insulation. ENERGY STAR has put together some videos to help you determine if you need more insulation or not. As a general rule, homes in the southern states should have 13” to 14” (about a R38) of insulation. Homes in the northern states should have 16” to 18” (about a R49) of insulation. ENERGY STAR estimates that properly insulating and sealing your home can save up to 10% on your heating and cooling bills. If your total bill is $100 per month that means in a year’s time you could save up to $120. Typically insulation does not need to be replaced so properly insulating your home now could provide many years of costs savings over the life of your home. Insulation can be one of those things you either want to do or want to have someone else do for you. If you are going to tackle the project yourself, make sure you have the proper safety equipment and know the layout of your attic. CAUTION: Before starting any maintenance make sure the power to the hood is turned off. If the hood has completely stopped operating: Check to see if there is power to the fan. A circuit might be tripped. Next, see if your range hood has any type of function that might automatically turn it off like a delay timer. Another cause could be the wiring was not done correctly. This usually only applies if it is a brand new installation. If after checking all of those without solving the issue, you probably need to replace the motor or entire range hood. 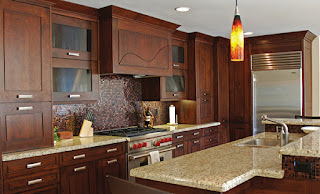 The range hood lights are working but the fan is not: Some range hoods (typically higher end models including many Air King models) are equipped with a replaceable safety fuse that protects the motor. A failed fuse could be the result of a power surge such as a lightening strike or could mean the motor needs to be replaced. Replace the fuse according to the instructions included in your owners manual and if it fails a second time it indicates that professional service or replacement is needed. The range hood is working but the air is moving slower than normal: More often than not, this is because there is a build-up of dirt on the fan motor/blade, filters or an obstruction in the ducting. Common obstructions include bird’s nest in the roof or wall caps where the air is being exhausted out of the home. Removing any blockage in your ducting or cleaning the inside of the range hood and filters according to the instructions in your owner’s manual will hopefully solve the issue. The range hood is operating louder than normal: First you will need to identify what type of noise it is making. If it sounds like it is operating normally just louder it might be because of some of the same issues described in point #2. If it is more of a rattling sound it may be because the motor has come loose. Most range hoods have a housing with the motor attached to the housing with some type of mounting bracket. Over time the screw(s) holding the motor to the housing can work themselves loose. Tightening these might solve the problem. Much in the same way, it could be that the screws or nail holding the range hood to the cabinets or wall have worked themselves loose or the ducting has disconnected. This might be a little tricky to determine as it might mean gaining access to the interior of the hood. Other causes could be a weld has broken loose on the range hood housing. Visually inspect the hood to see if you can identify and places where the metal has separated. Unfortunately, that can’t be easily fixed and the whole range hood will need to be replaced. If you hear more of a scraping sound it is probably the fan blade hitting the housing. This can happen if the blade was damaged during cleaning or if it has worked itself loose. Check to see if you can fit the blade back onto the motor shaft. If not, you might need to replace the blade, the motor or the entire range hood depending on the extent of damage.